It’s never a good sign when some of the staff of a struggling show take on other jobs. That’s just what’s happened with some of the personnel from FOX’s Human Target and NBC’s The Cape. According to Deadline, Human Target’s executive producer, Brad Kern, has been hired as the executive producer and showrunner of ABC’s dramatic pilot called Poe. The series follows the adventures of Edgar Allen Poe, a macabre writer and “the world’s first detective,” as he uses unconventional methods to solve dark mysteries in Boston during the 1840s. Kern also previously ran Charmed for The WB. Meanwhile, The Cape’s showrunner, John Wirth, has been tapped as executive producer and showrunner for The CW’s drama pilot called Cooper & Stone. This project follows two young female detectives from Chicago’s North Side. They’re best friends who discuss fashion and pop-culture while solving homicides. Wirth was previously a co-showrunner on FOX’s Terminator: The Sarah Connor Chronicles. Neither Human Target nor The Cape have been officially cancelled. However, The Cape’s episode order was recently cut and the show’s ratings continue to fall so its widely considered to be doomed. Human Target’s future isn’t as clear. The show had a disappointing season, averaging a 1.7 in the 18-49 demographic and 6.4 million viewers. That’s down 24% in the demo when compared to last season’s average. On the positive side, the series’ ratings picked up in the last few weeks and endured several schedule changes so there’s still a small chance that it could return for season three. We’ll know by May. What do you think? If you had to choose between Human Target and The Cape, which would you chose? More about: Charmed (1998), Human Target (2010), Human Target (2010): canceled or renewed?, Human Target (2010): ratings, Terminator: The Sarah Connor Chronicles, The Cape, The Cape: canceled or renewed? The Cape: NBC Cuts Episode Order; Cancellation Next? The Cape: New NBC Action Series; Cancel or Keep It? Human Target: Has FOX Already Given Up on the Series? Human Target: The Six Million Dollar Man Helps on Season (or Series) Finale! Human Target: FOX Gives Show Big Premiere Push; Cancel or Keep It? Charmed: Has the Halliwell Sister Magic Run Out? 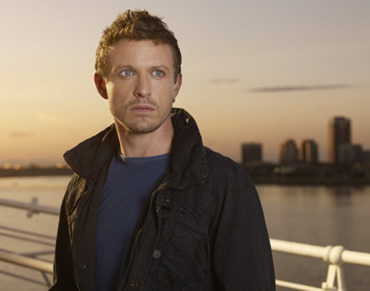 Loved human target, I wish they would bring it back! I absolutely loved Human Target. I hope they bring it back cause it was hilarious. It was one crime show my husband and I could agree on.. Absolutely loved the show, am oneof the 6 mil. There was work on season 3 with a pilot or several ones shot. I would love to purchase a dvd with those. I bought season 1 and 2. I thought all the actors were great and worked well with the story line. Human Target was a great show. HUMAN TARGET was a blast,hubby and I are disappointed that it got the axe.